Lesley Baker is an Associate Professor at the Herron School of Art and Design in Indianapolis and has also taught at UC Berkeley and the California College of the Arts. 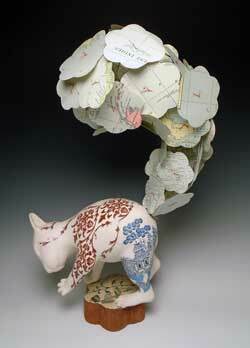 She earned her MFA at the Rhode Island School of Design in 2000. She has participated in numerous artist residencies, including the Archie Bray Foundation, the John Michael Kohler Arts/Industry Residency, the Guldagergaard International Ceramic Research Center in Denmark, and the Pottery Workshop in Jingdezhen, China. Her work has also been published in numerous books including The Yixing Effect and The Best of 500 Ceramics and the newest editions of Ceramics and Print.